Read Amega forex broker review, rating and detail information for their services below. 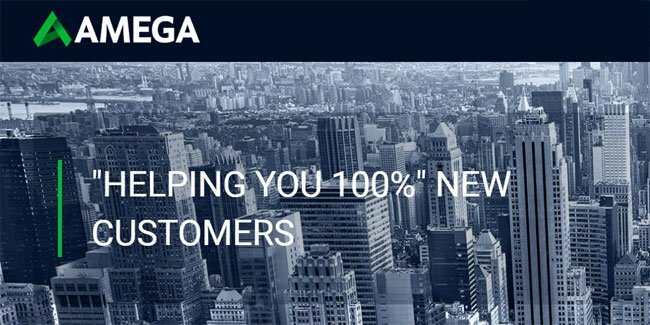 Amega brokerage company was represented in the financial services market of the entire global segment of Forex market, in 2017, immediately declared itself as a high-tech and modern broker, with a whole set of conditions attracting traders and partners. The company offers some of the best modern trading terminals in the industry, MetaTrader 5, MetaTrader 4 and also mobile version MT5 and web terminal MT5. The MetaTrader 5 web terminal allows you to trade on the financial markets simply by using a browser. It works on all operating systems and browsers and does not require any additional software to be installed. Amega company offers a variety of trading account options: demo, cent, premium, swap-free and ECN accounts. There are no restrictions on the size of the minimum Deposit, which is especially important for novice traders, often limited in the size of their trading account. In addition, multi-level affiliate system allows you to receive up to $16.1 from each lot. At the moment they has 2 types and 3 levels of the affiliate program but during this month they will add 3 more unique types of our affiliate program. From the competitive advantages, Amega also note the instant and interest-free Deposit and withdrawal of funds, which is most convenient for professionals who consistently earn on the market and are interested in minimal costs in this area. Customers can choose from more than 220 popular payment systems, which allows you to forget about the problems with the input/output of funds (for example, long wait or high interest, “eating” part of the profit). The company has regular bonuses for clients in the amount of up to 100% on deposit, which can offer not every broker. It is important to note that the bonus is involved in drawdown. Numerous contests with cash prizes make trading even more interesting. Amega provides high-quality author Analytics helps beginners to understand the difficult market conditions, and professionals – to compare their understanding of market realities with the opinion of experienced financial analysts. 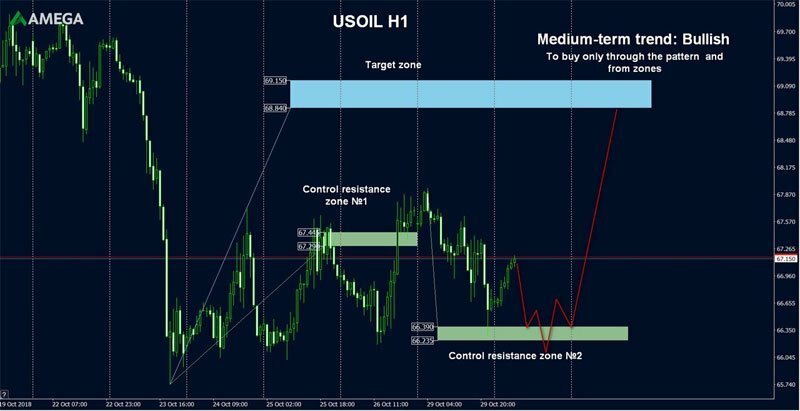 You can perfectly master the methods of fundamental and technical analysis; instantly respond to the news; develop and successfully use your own trading system that allows you to consistently make a profit – but if there are problems with withdrawal – it will significantly complicate your work. Amega is a Russian Forex broker. It is not regulated by any pronounced regulatory board. They support Metatrader 4 and Metatrader 5 and also a high leverage. They also have a zero deposite value for all account types. Amega’s services are not available in many countries, including US, Australia and all EU member states. Amegafx is a no-limit forex broker. I suggest a new trader please join Amegafx. Amegafx is actually the best broker I think because they have good platform trading and also, they want to make their members believe that they are professional in making their deposit and withdrawal is very instant with minimum payout is cheap. Amegafx is good broker for you. the first time join Amegafx, i feel this is good broker and service client excellent, this broker uses many payment deposit and WD system, good broker, i like it. Amegafx is the best broker, the deposit and withdrawal process is very fast with very many payment options, I am very lucky to be able to join Amegafx. Amega forex have a over 200 payment systems with commission-free. Low spread. Come on join with amega forex. I started trading with amega 2 weeks back and I have never experienced any issue now. Amega is a forex broker you can trust. Amega Fx is like a funded program…it provides an opportunity to all the traders who dont have enough budget in thier account…i can tell amega fx is NO.1 top helpfull brokers in our time…keep up the good work and more power..
Amegafx is the best broker for beginners like me. I’m a newbie and getting the USD222 No Deposit Bonus from Amegafx is an excellent way to trade with a real account. Provides a lot of information, analysis and study material and commission free deposits and bonuses. Recommend for everybody. Amegafx provides low spread, fast execution, instan deposit and fast withdrawal (15 minutes). And have 200 system payment. I love amegafx! Enjoy trading with Emegafx.This is recomended broker to our partner trading.So,Join now with amegafx. This company asked me to submit good review to withdraw bonus. Fake broker without regulation. In my opinion, Amegafx is the best broker for our trade in this era, and also offers more than 40 currency pairs, forex, cfds, futures and metals for our investment and trading options. Amegafx also provides payments in many methods, such as Local Bank transfers, cryptocurrency, and various other online wallets. The payment becomes easy and fast. Amegafx also provides a $ 222 non-deposit bonus for our trading capital and more interesting profits can be withdrawn to our bank account.